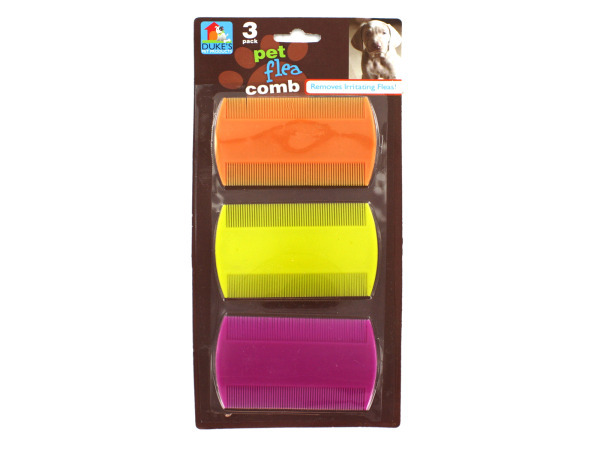 Perfect for cats or dogs, this 3-piece Pet Flea Combs Set helps remove irritating fleas. Combs come in bright colors: yellow, orange and magenta. Instructions for use are located on back of packaging. Each comb measures approximately 2" x 3.25". Comes packaged in a blister pack.